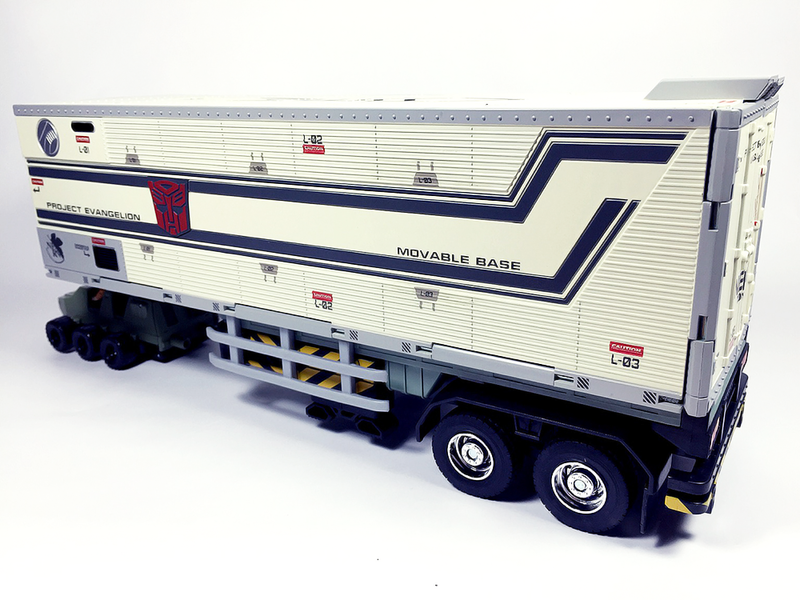 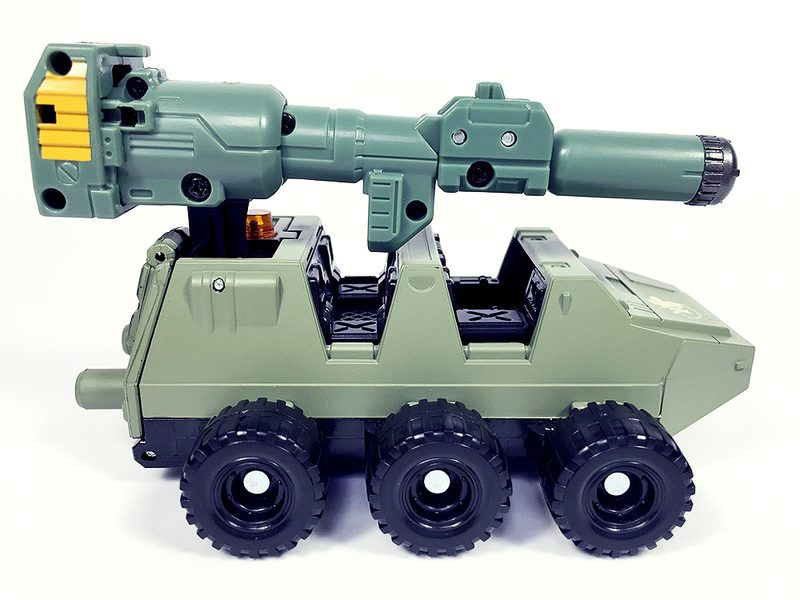 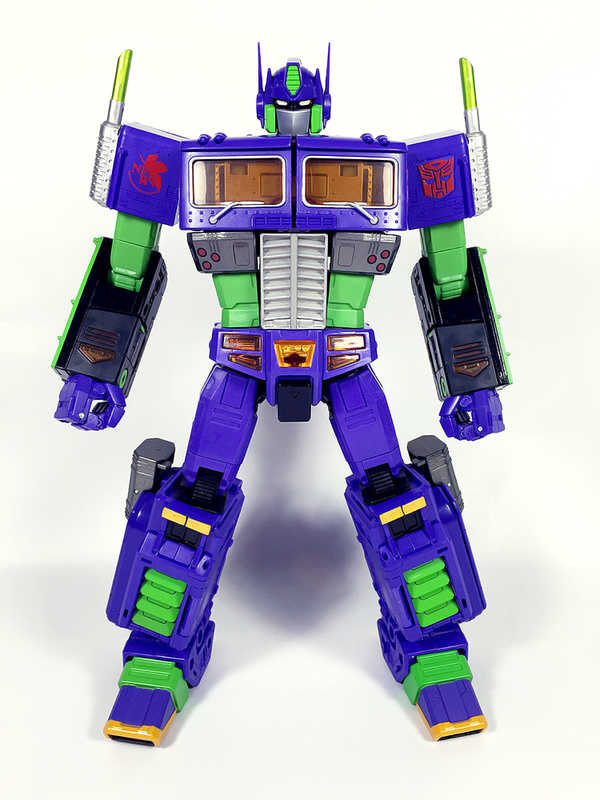 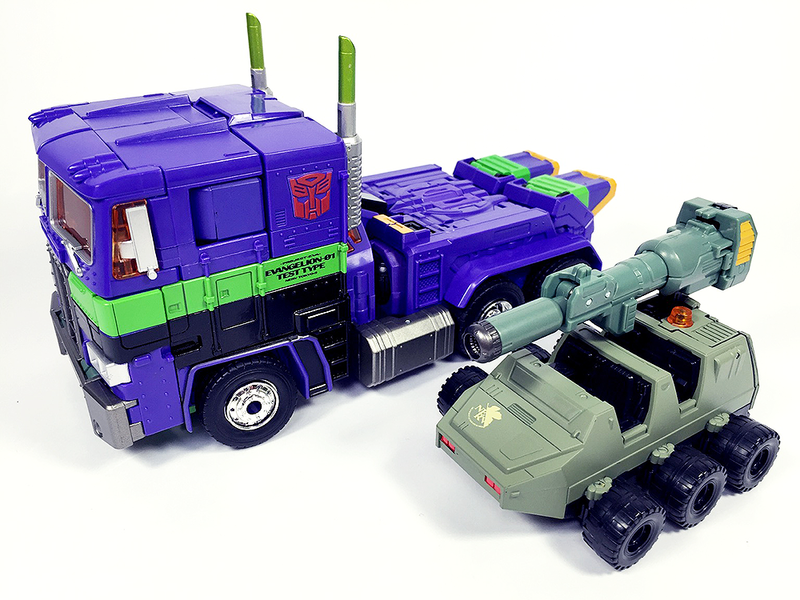 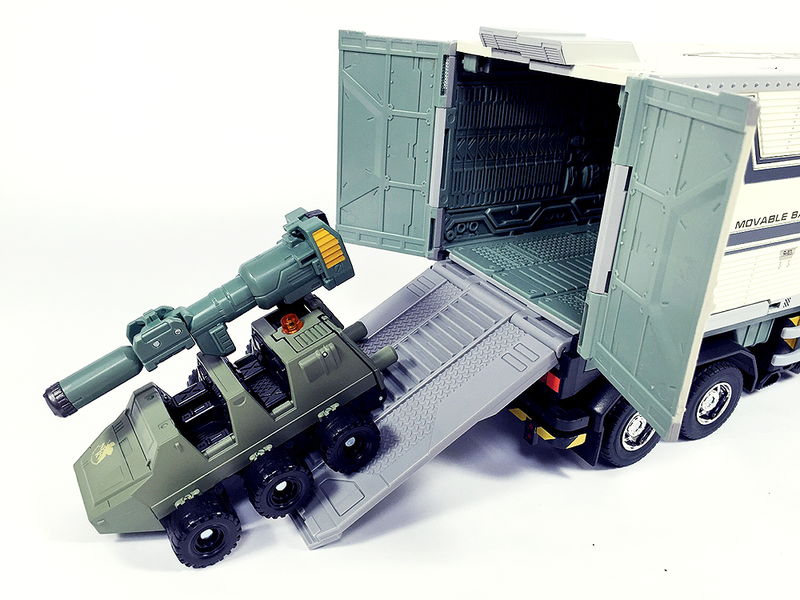 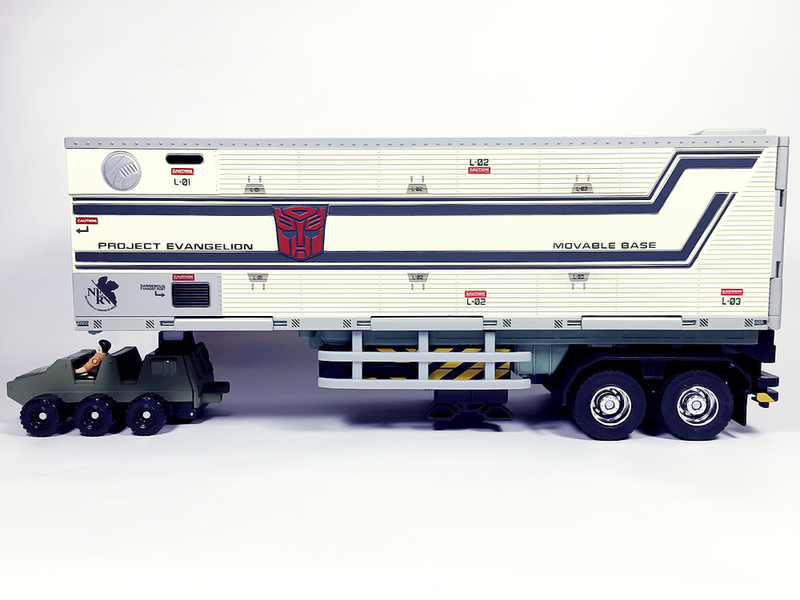 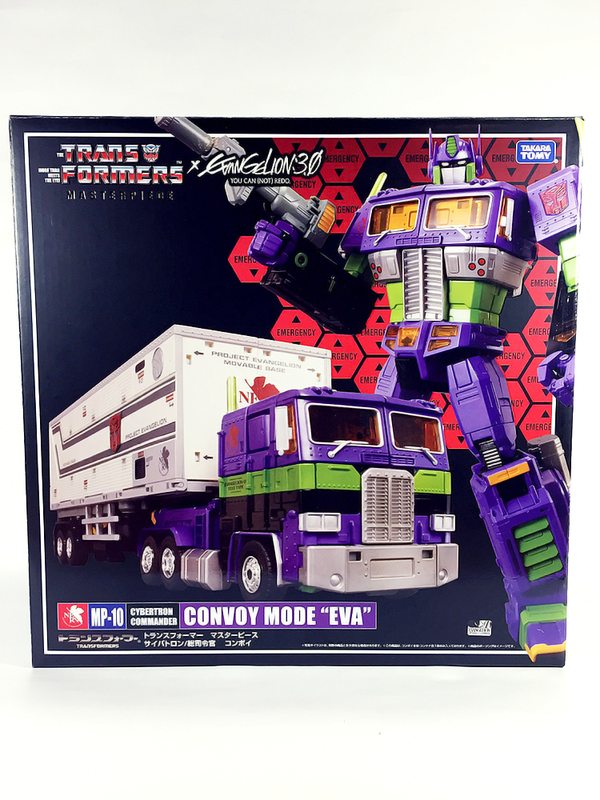 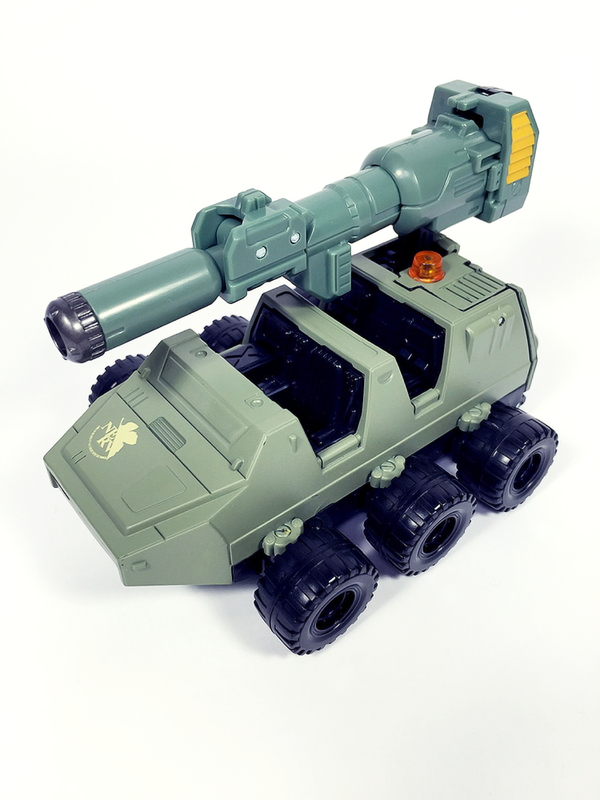 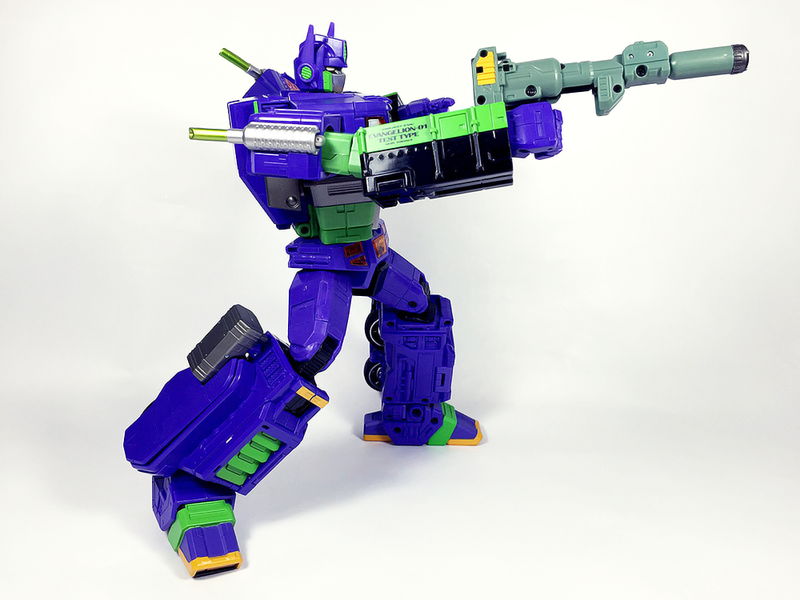 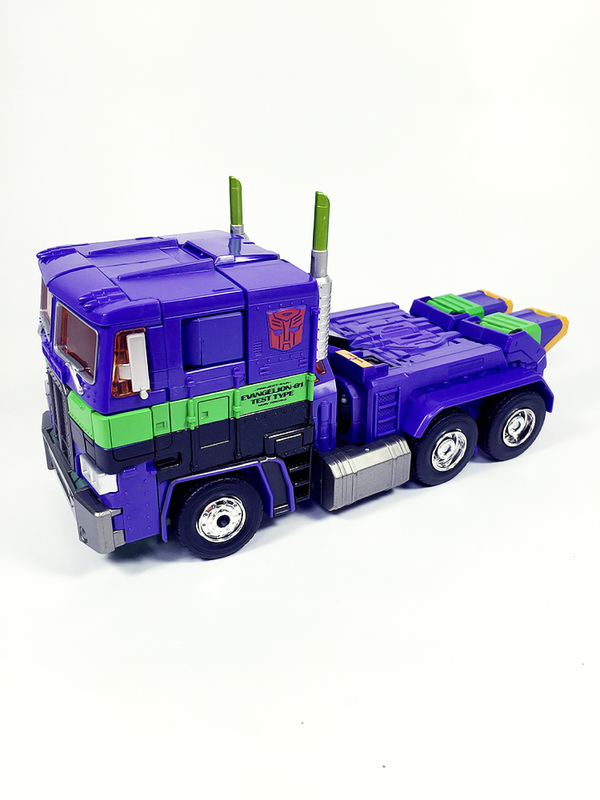 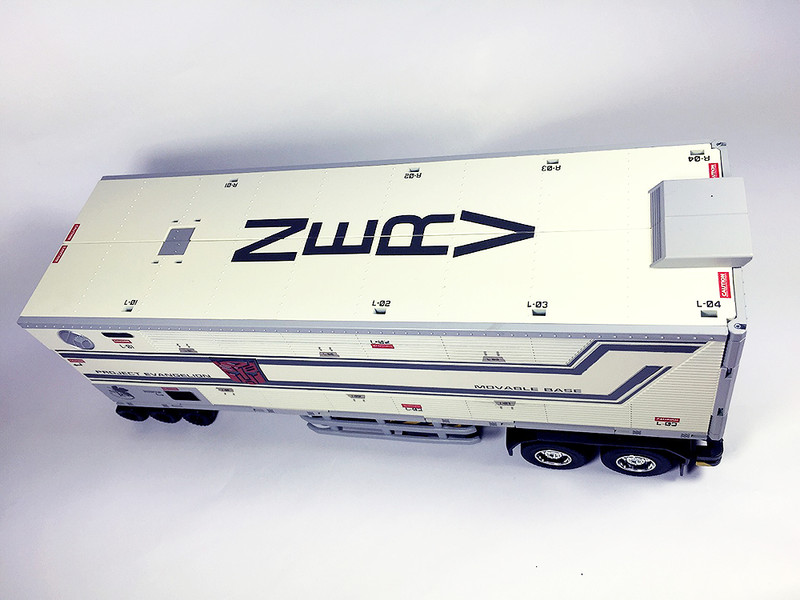 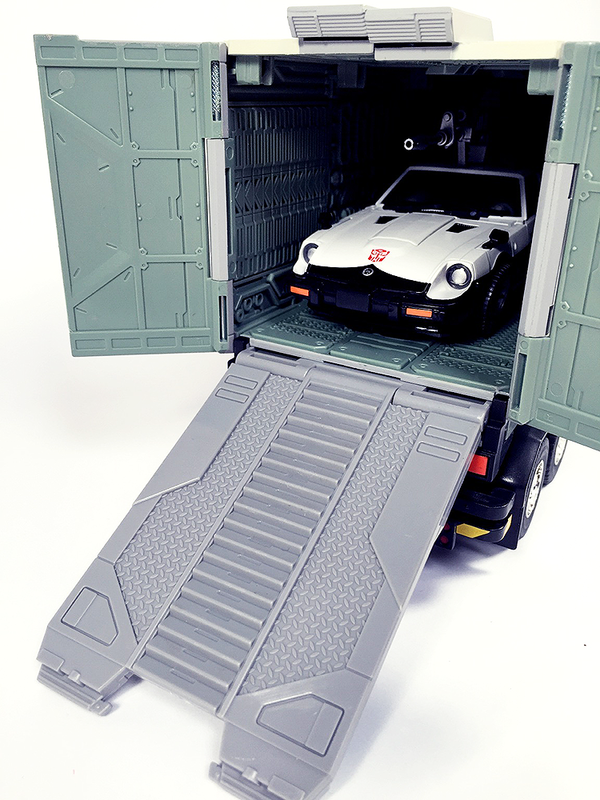 Transformers Masterpiece MP-10 Convoy Mode "Eva"
Probably the most unexpected collaboration finally arrives! 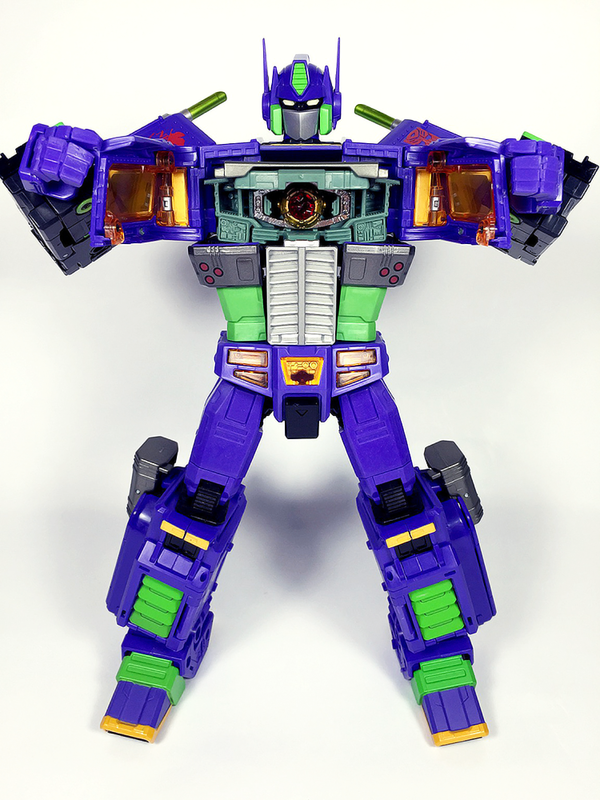 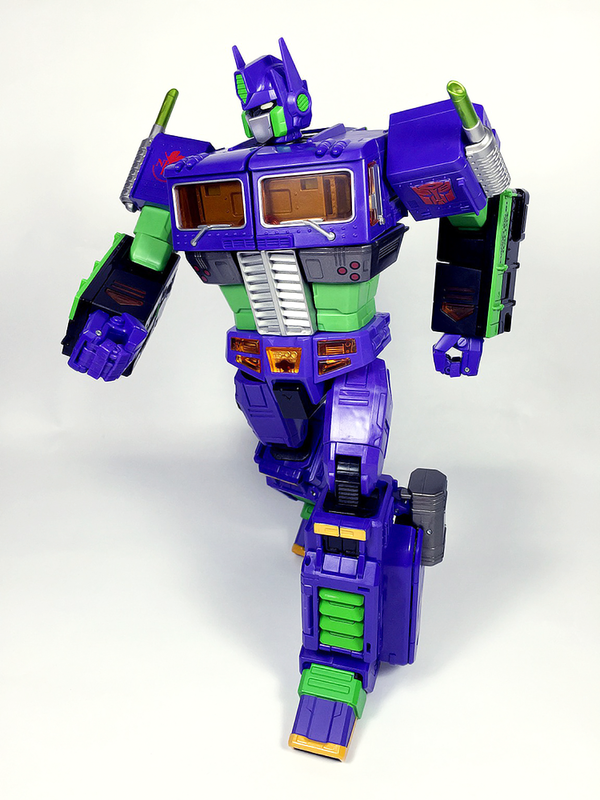 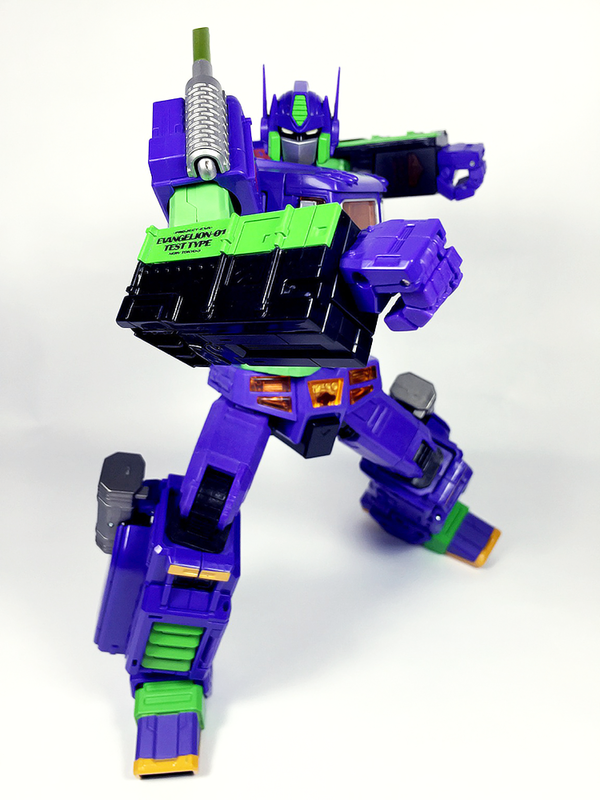 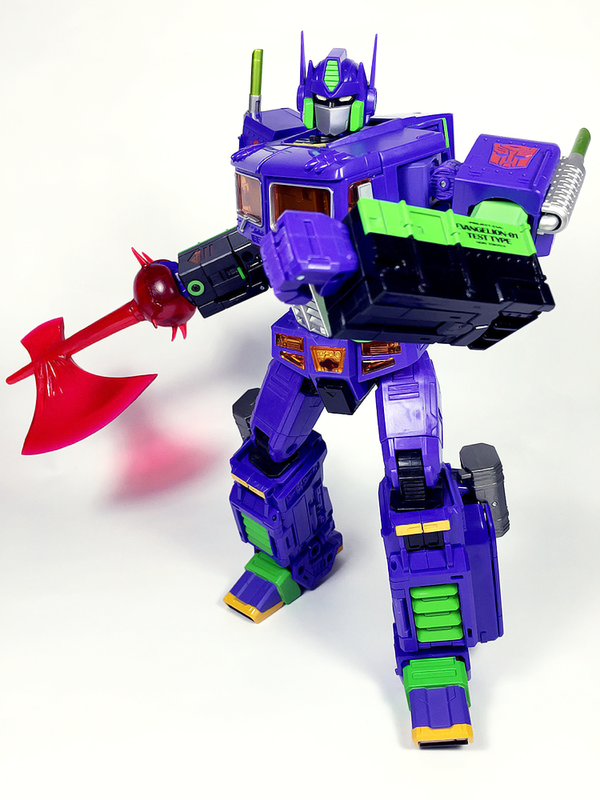 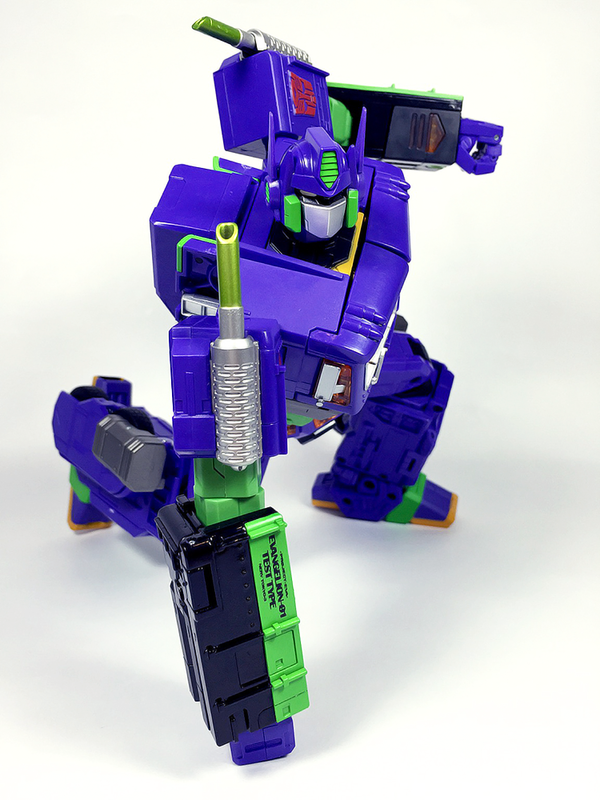 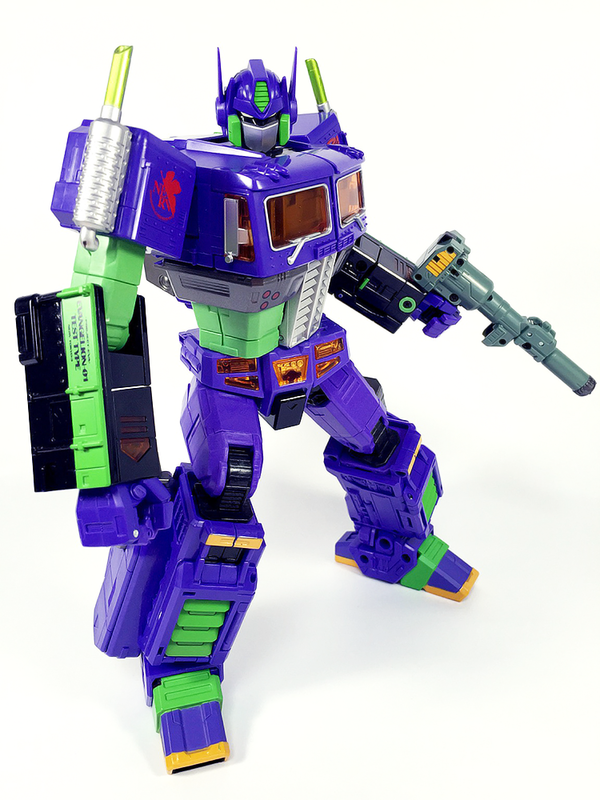 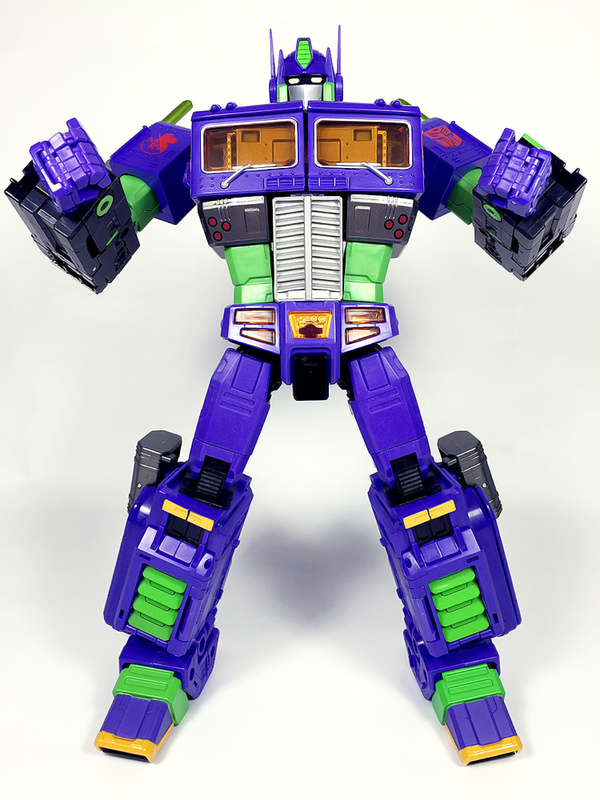 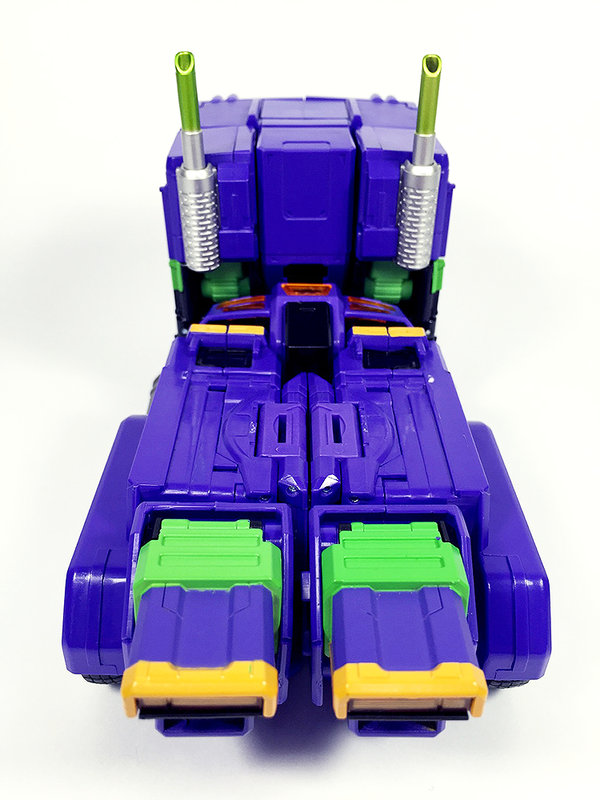 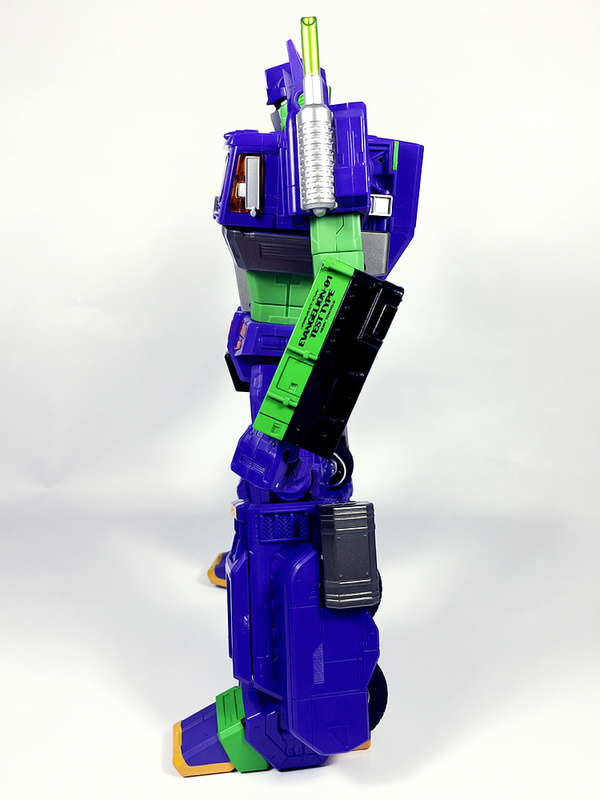 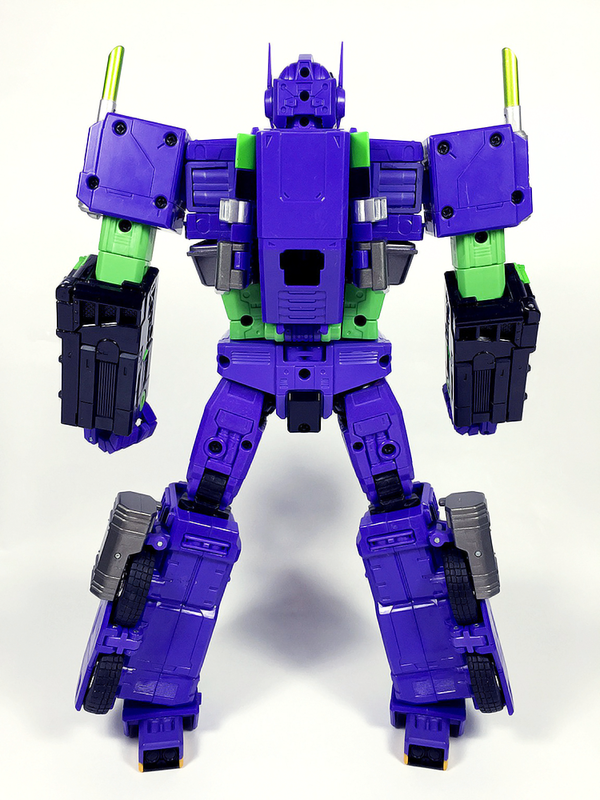 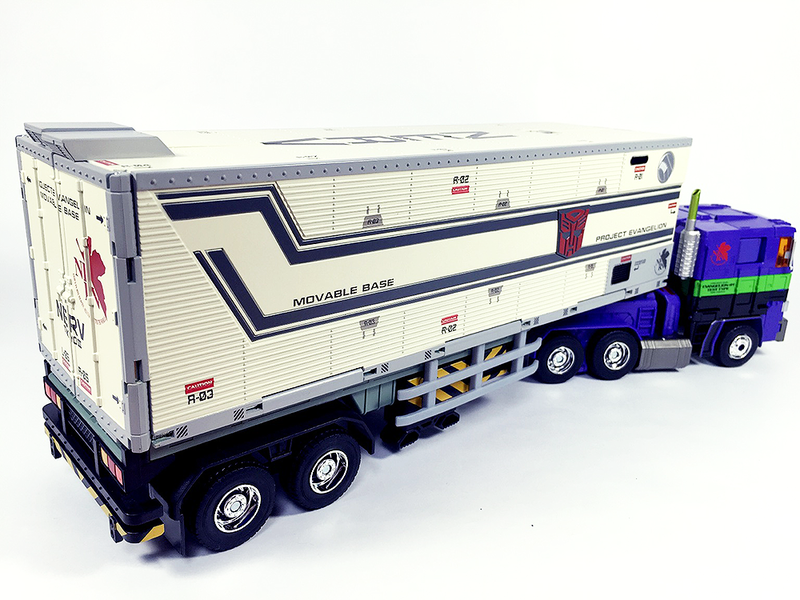 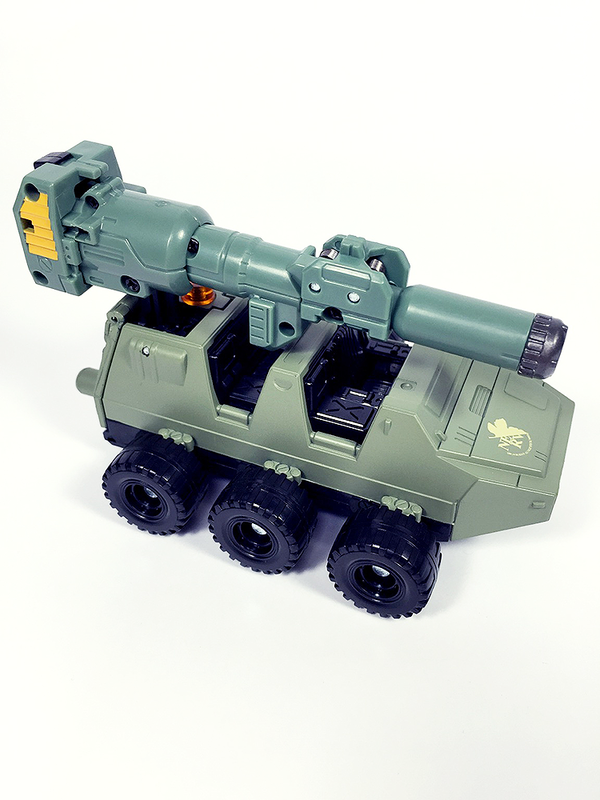 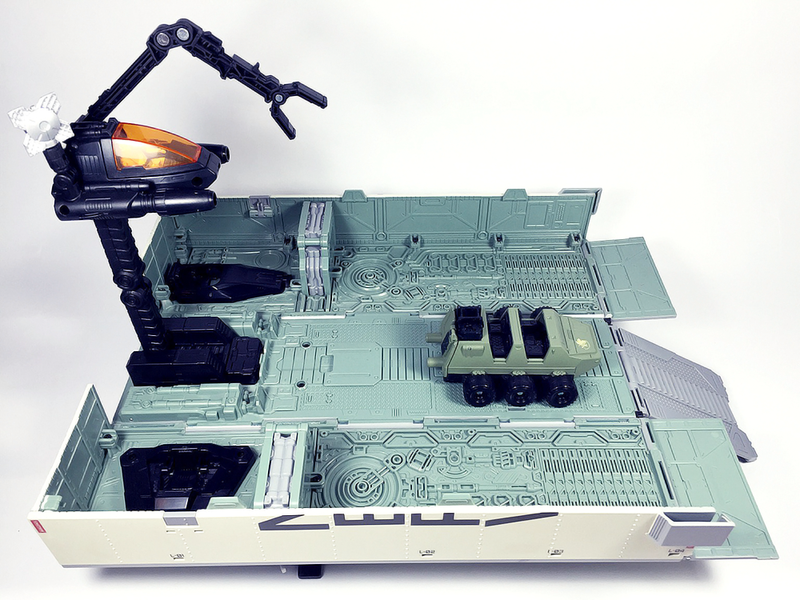 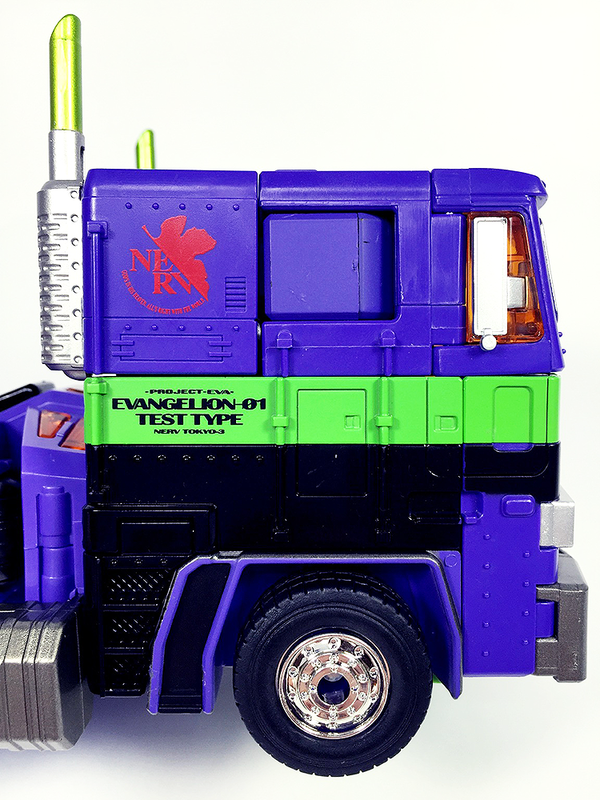 Here is the Transformers X Evangelion MP-10 Convoy Mode "Eva" Masterpiece! 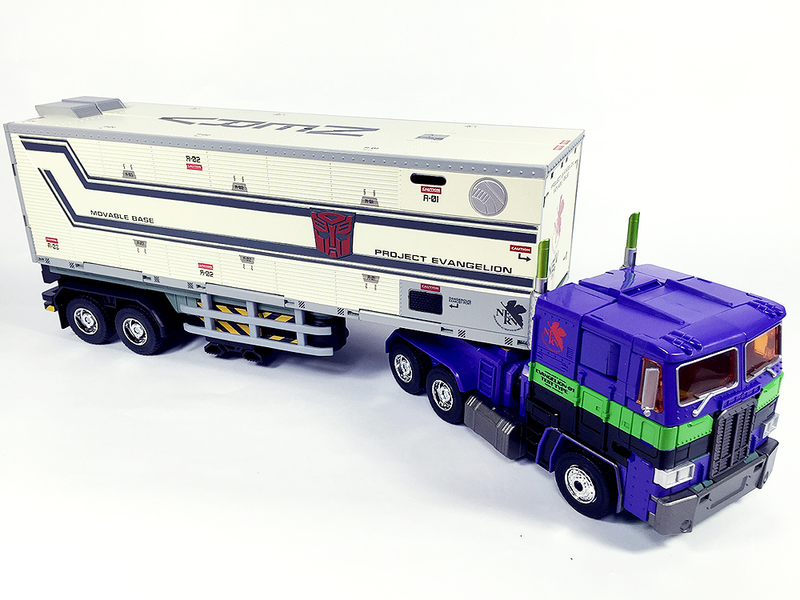 As fan of both Transformers and Evangelion I needed this in my collection and even though the price is more than doubled the original MP-10 Convoy, personally it's worth every penny. 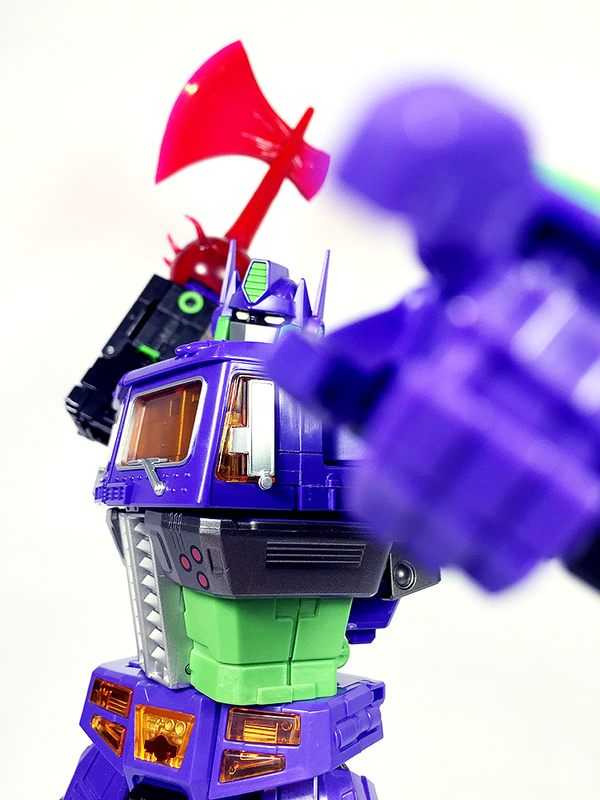 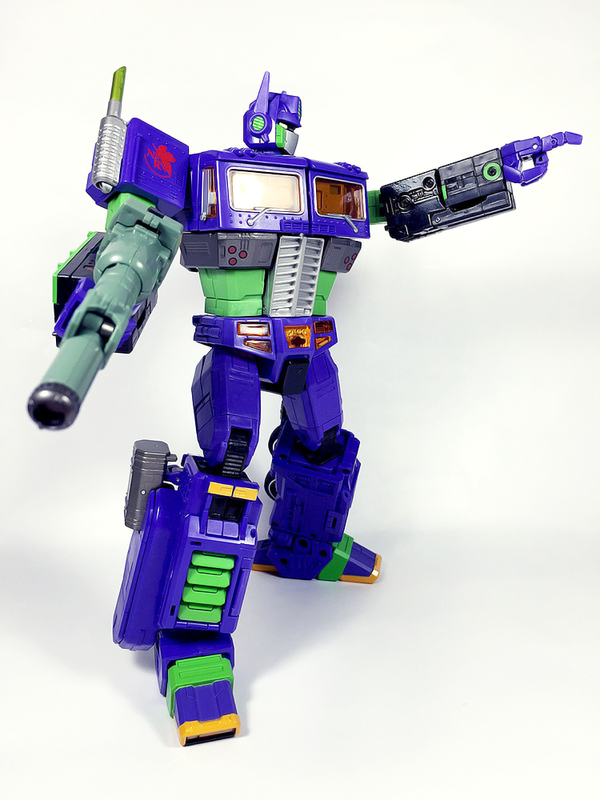 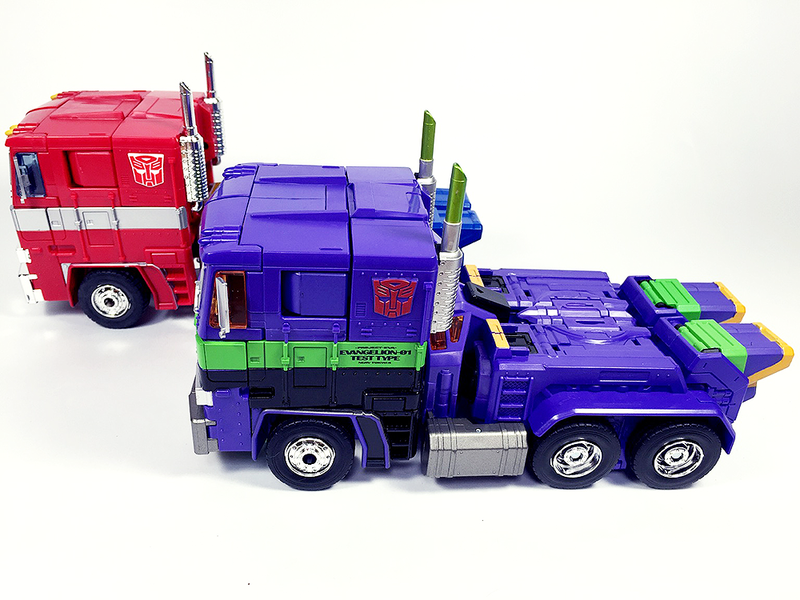 The MP-10 is without a doubt the best Convoy (Optimus Prime) toy ever and having the iconic Eva-01 paint job applied on it just makes this piece the ultimate holy grail. 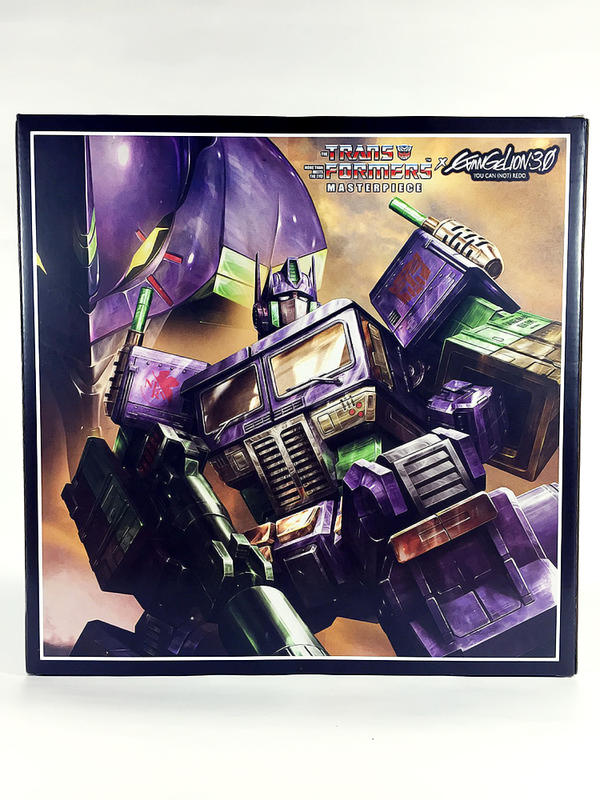 Limited to 1000 piece and in Japan only, availability is scarce now unless you don't mind paying ebay prices. 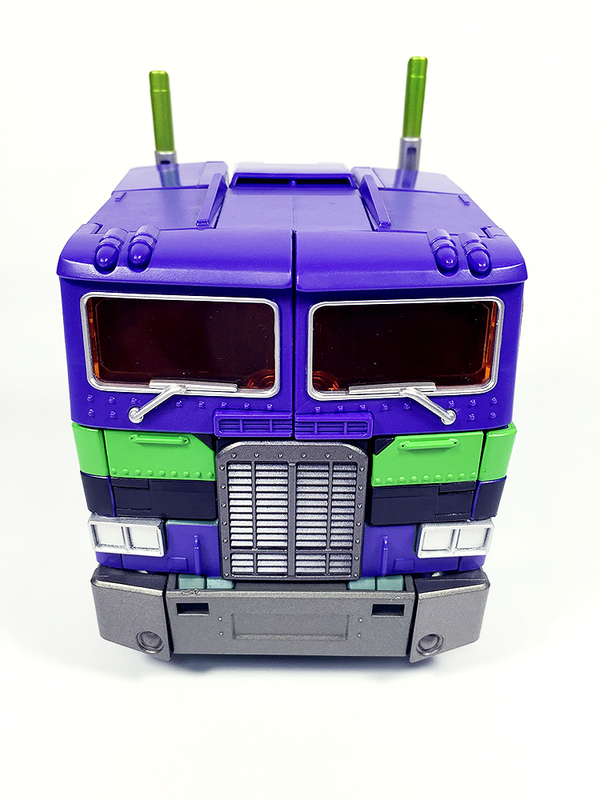 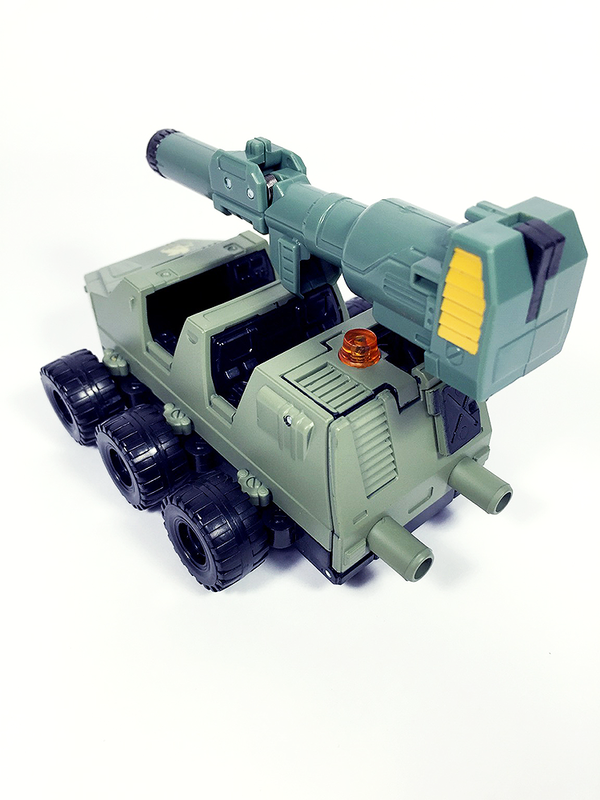 Aside from new paint job though this is exactly same as the MP-10. 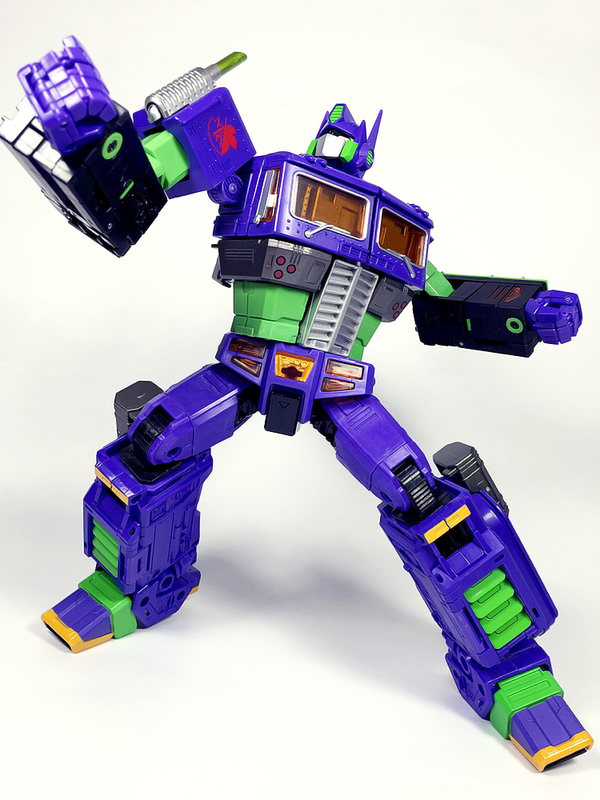 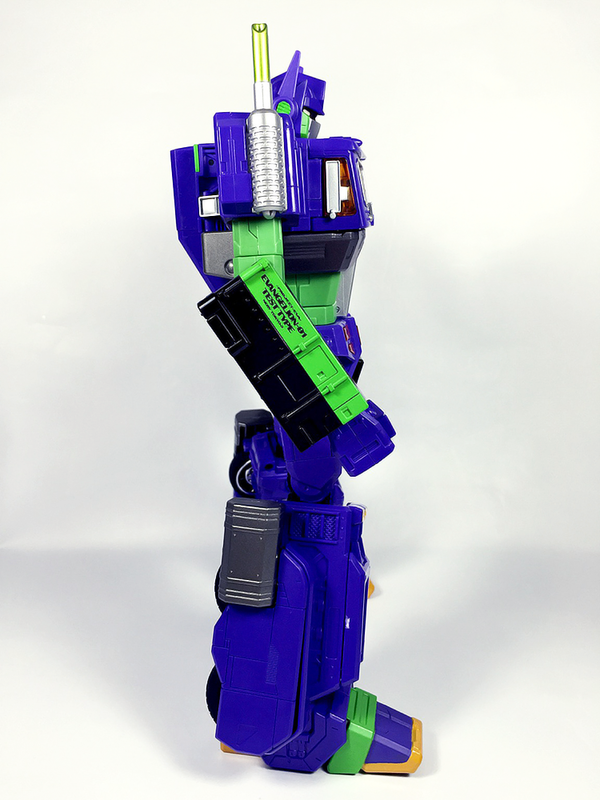 No new additional accessories or functionality and articulation and transformation are both unchanged. 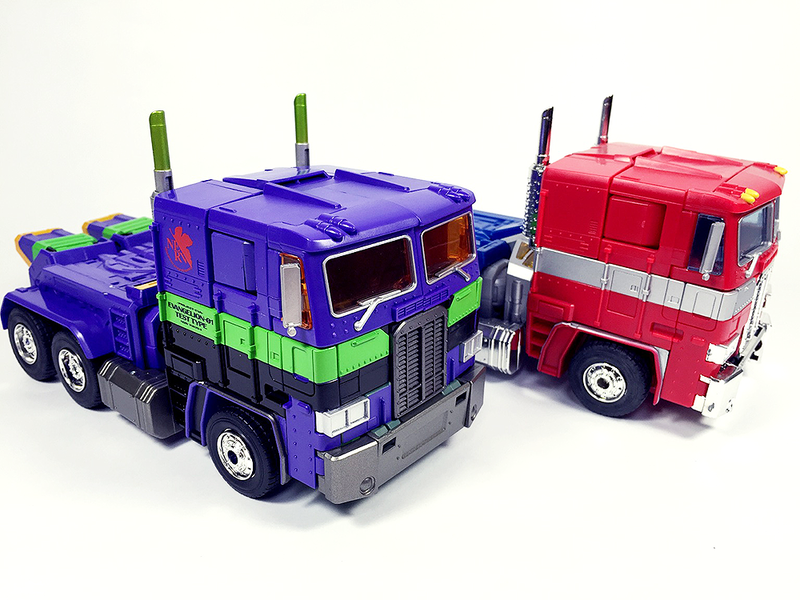 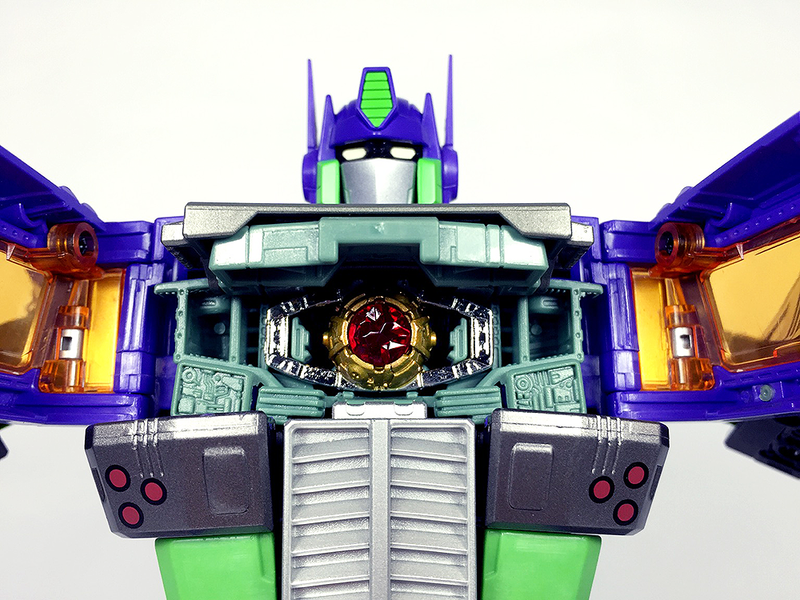 Overall it's just a repaint of MP-10 but the new redeco is amazing especially on the trailer. 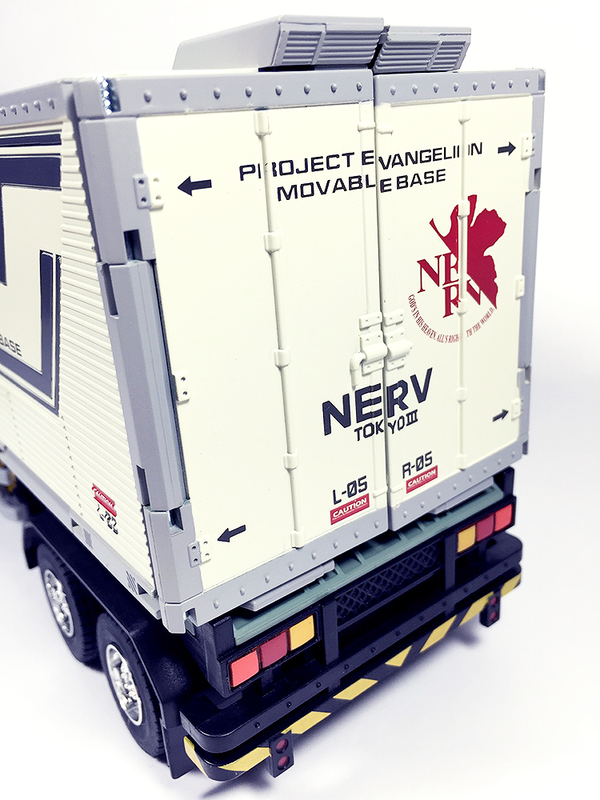 It really looks like it was modified and painted from the Evangelion universe. 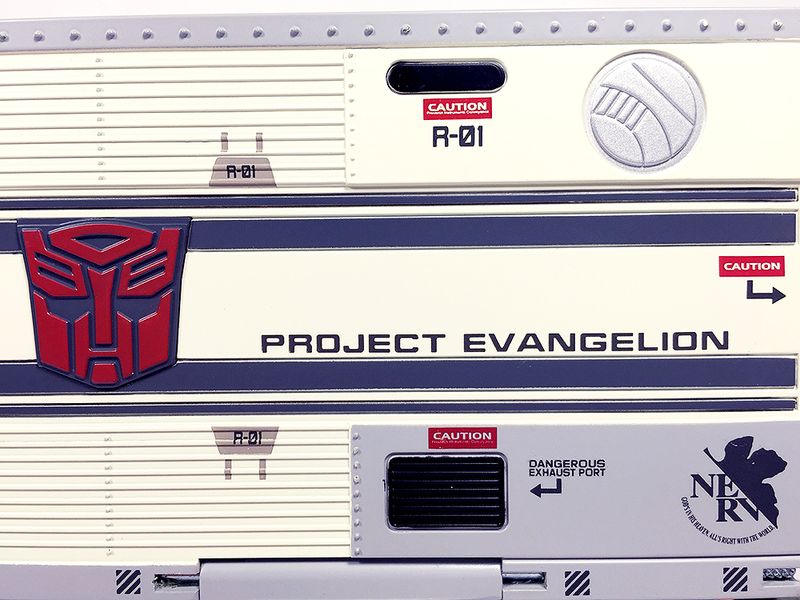 The short story included in the instruction booklet wasn't convincing though and I doubt TakaraTomy will release anymore Transformers X Evangelion Masterpiece figures. 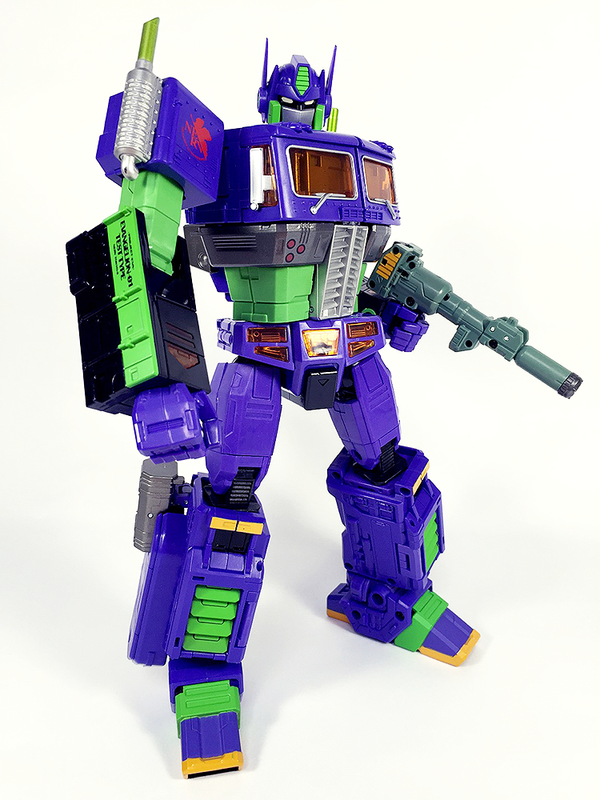 If they did it would be Starscream with the Angel repaint...which will I guess ...just look like the already released Skywarp? 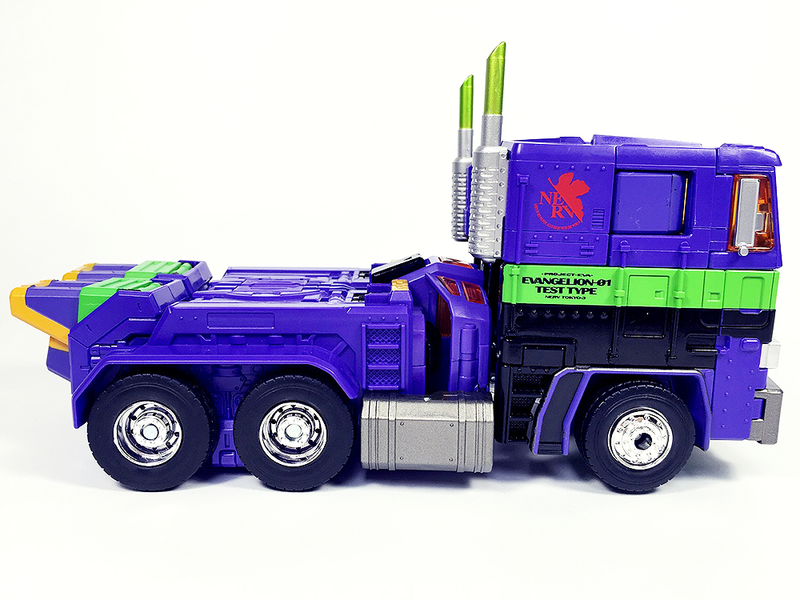 Going back on topic though this figure is really great both in alt mode and robot mode and definitely fits well with both transformer figures and Evangelion figures. 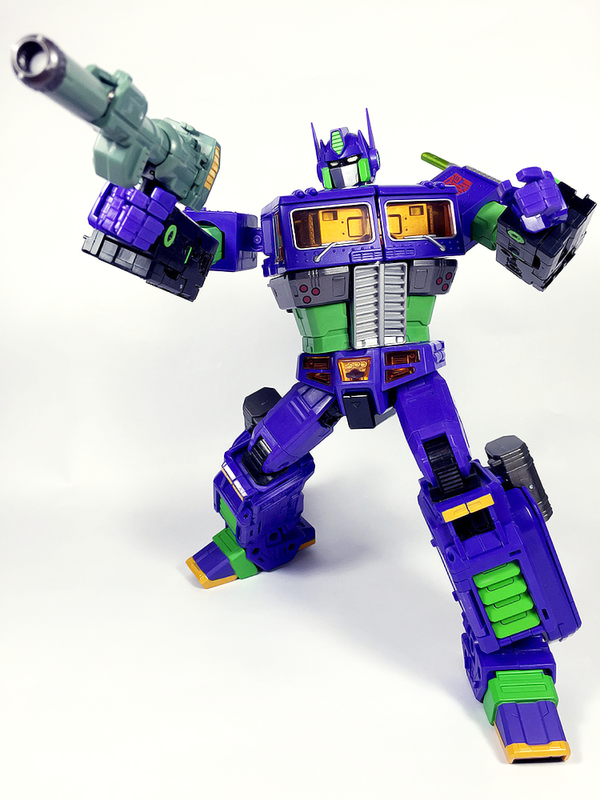 If you're fan of both amazing series then this figure is a must have. 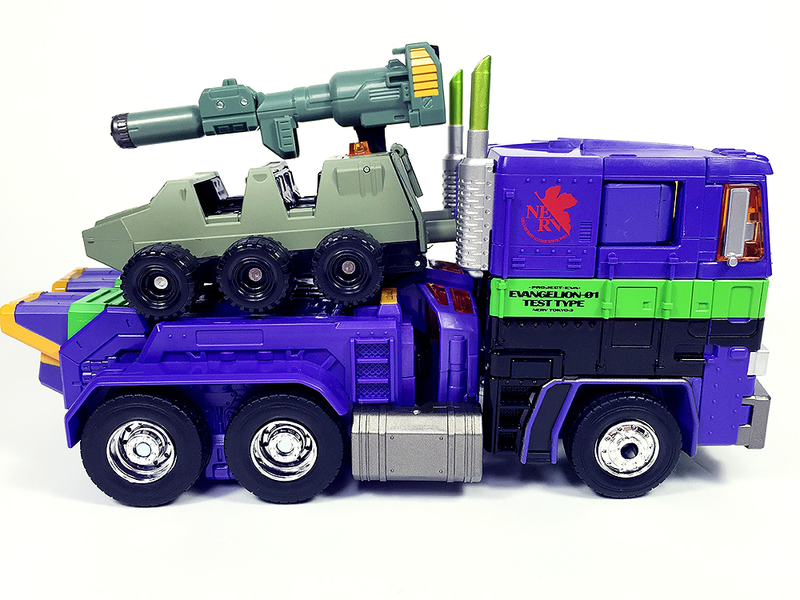 The only real downside is probably the price. 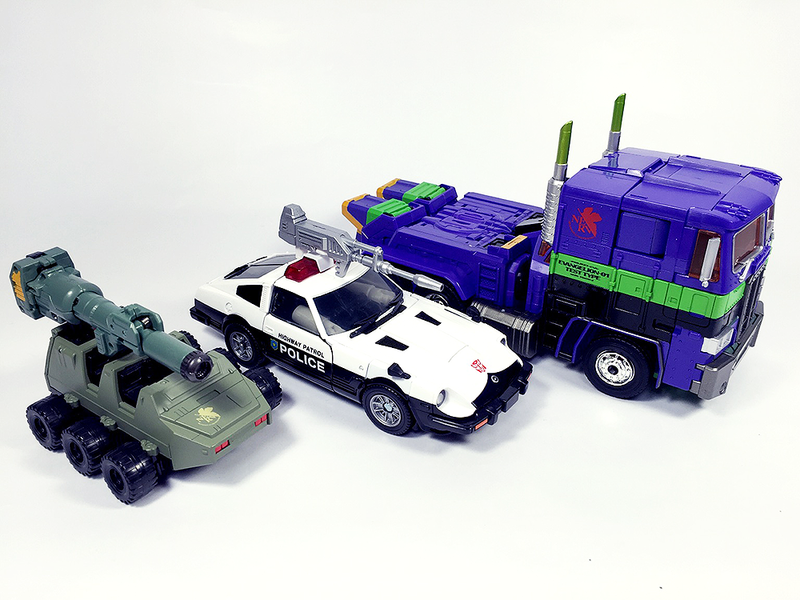 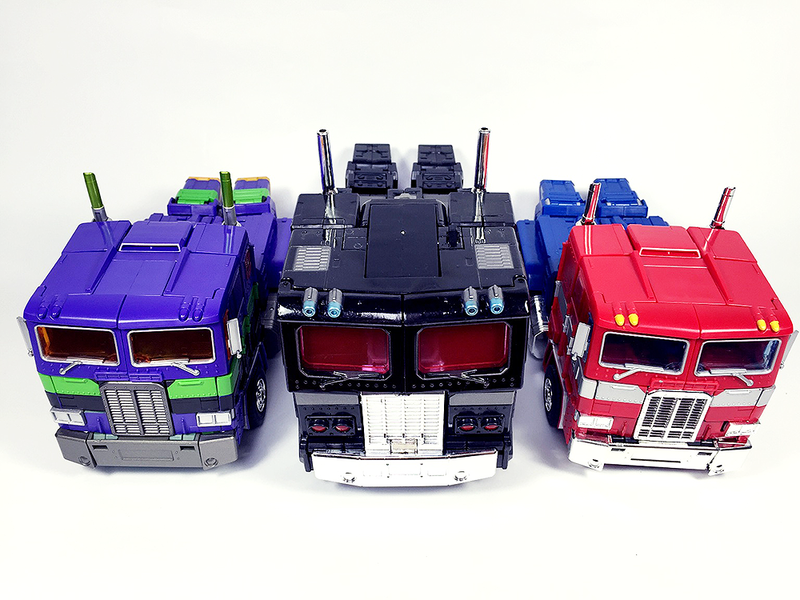 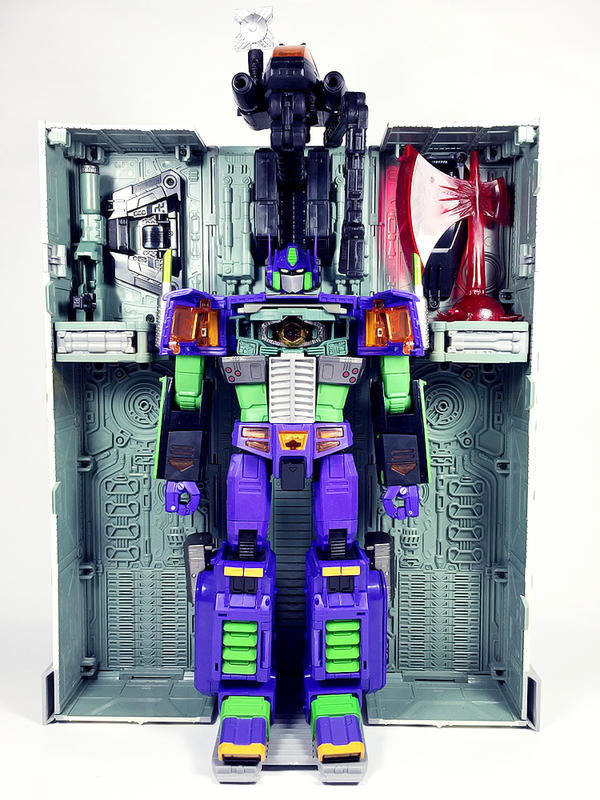 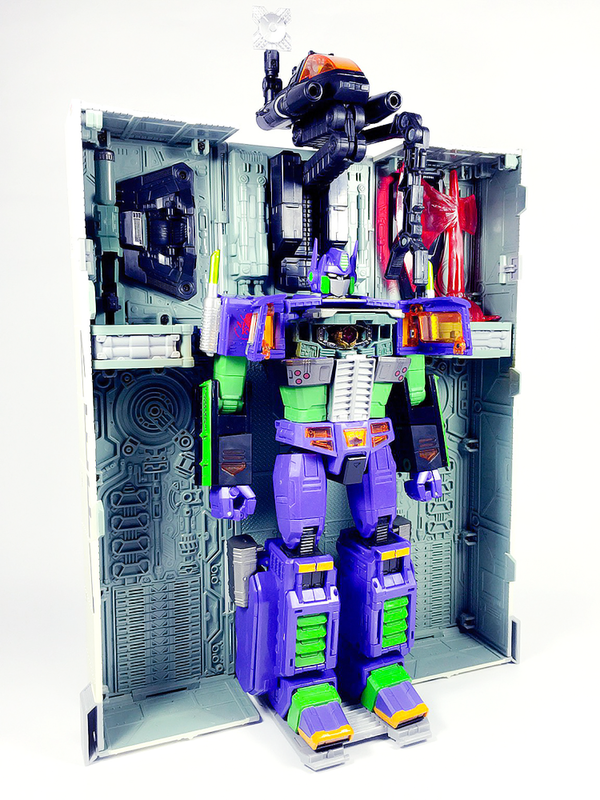 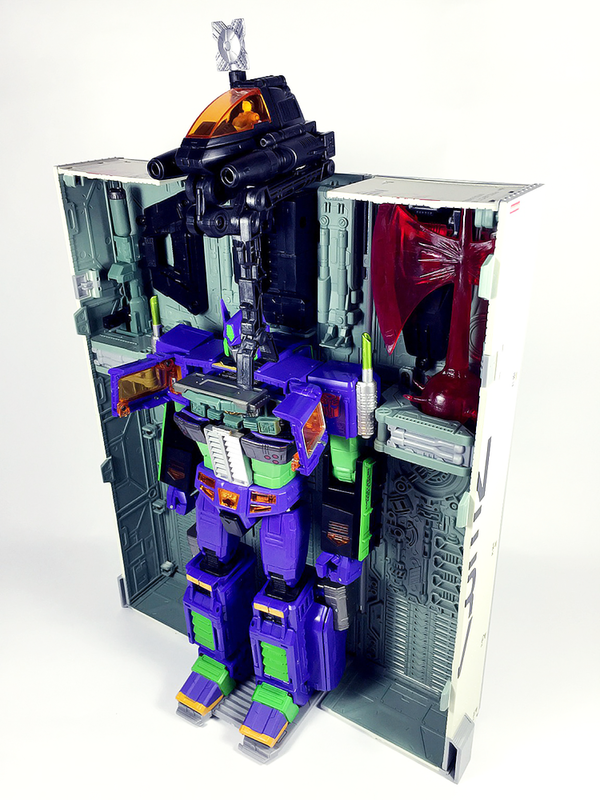 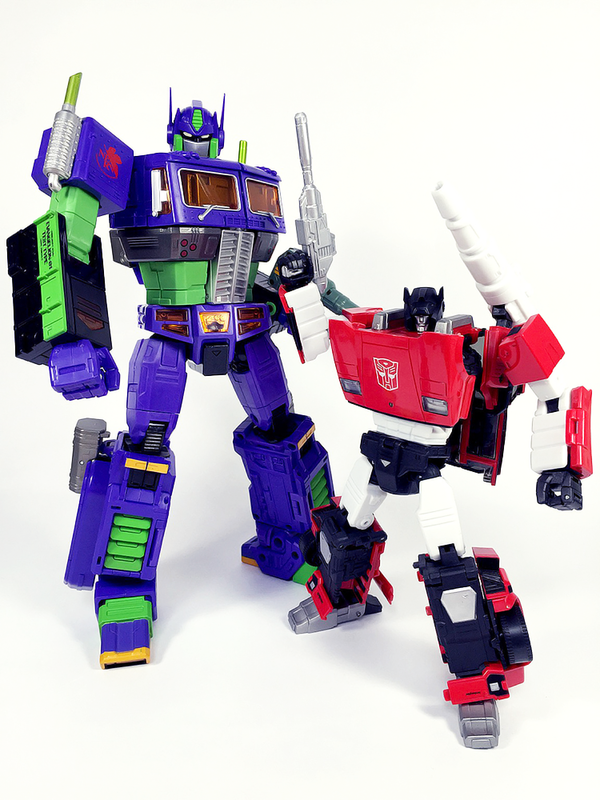 Retail price itself was already doubled the regular MP-10 and due to very limited edition size (1000 piece only), it's most likely completely sold out already. 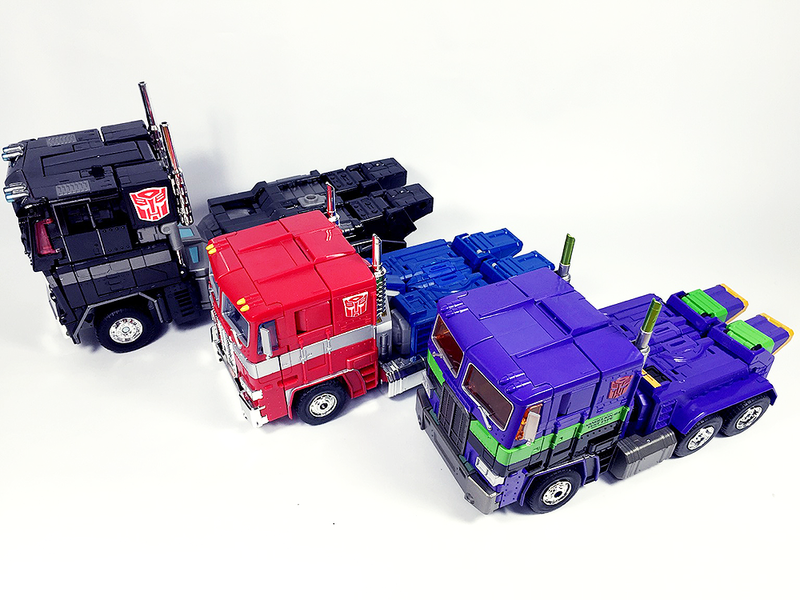 In order to get one now you will most likely need to fork over even more. 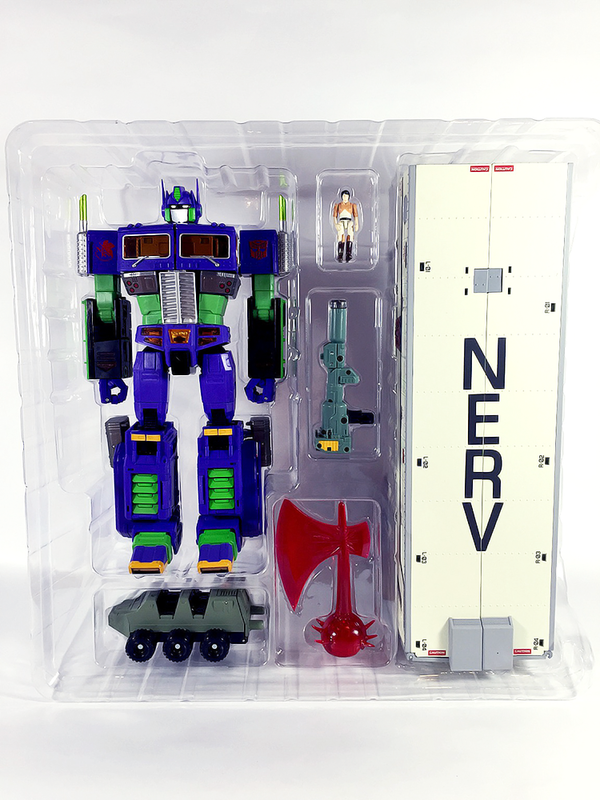 If you do find a good price though, don't miss out and get it!